The Remington R95 Rotary travel shaver is one of the smallest electric razors on the market. The diminutive shaver provides a solid shave at an affordable price, despite its size. For around $15, you get Remington quality and a number of features usually only found in more expensive models. This machine truly lives up to the adage that good things really do come in small packages. The Remington R95 is a good example of stylish design at an affordable price; it looks like a much more expensive machine. This black and silver razor uses a rechargeable LED battery with charge indicator and automatically adjusts for voltage, making it perfect for international travelers. This rotary razor has a dual-track system, made up of 21 tiny blades, which serves up the kind of shave that’s hard to get with a machine, especially a less expensive one.  At approximately 10cm x 7cm x 3cm, this machine is meant to appeal to people looking for a lightweight and portable option. As for shaving quality, most reviews are quite good, so even shoppers in the market for a daily-use machine might consider the Remington R95 rotary travel shaver as a possible option. It’s mostly designed to be a men’s razor, and because of its size and ease of use would be a good starter razor for a new shaver. You can find this Remington shaver on Amazon for $17.99. Value. 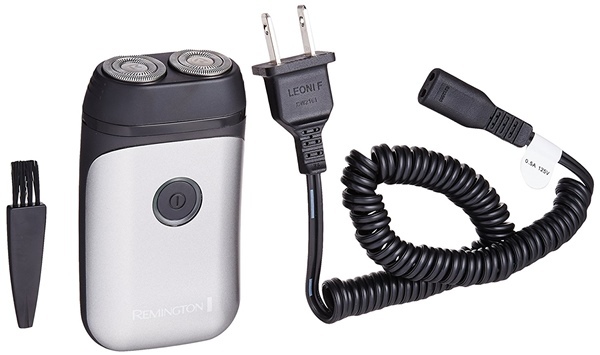 The Remington R95 Rotary travel shaver has an entry-level price for a travel shaver. However, provides a high-quality shaving experience. It also comes with a couple of great features that are hard to find at this price point. Compact. It’s one of the smallest shavers on the market, which makes it perfect for frequent travelers and those who need to groom on the go. Its size makes it ergonomic and easy to use. Sturdy. Although it’s an inexpensive model, this Remington isn’t an example of slipshod workmanship. The razor allows for a firm grip, and the ON/OFF switch is cleverly designed to prevent accidentally switching on the unit. Lithium battery. These less expensive razors often run on AA batteries, which means you end up buying the razor several times over in battery purchases. However, this shaver is powered by a Lithium battery, which greatly improves your return on investment. Universal voltage. 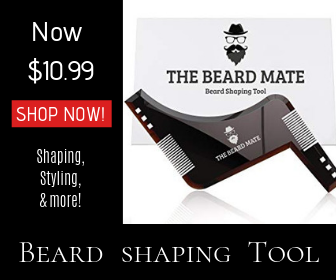 Again, this little razor comes equipped with features that are hard to find at this price. Universal voltage makes this a perfect fit for a cost-conscious road warrior. Battery life. Although this Remington certainly gets an extra point for the lithium battery, the razor’s battery life is a little below average. This razor takes around 8 hours to charge with a maximum of thirty minutes of use. While this is the general range you find in this market segment, it is still a little on the low side. It should work well for those who just need a few minutes a day, but it could be a real inconvenience if you needed it in a pinch and the battery was dead. Lack of trimming attachments. 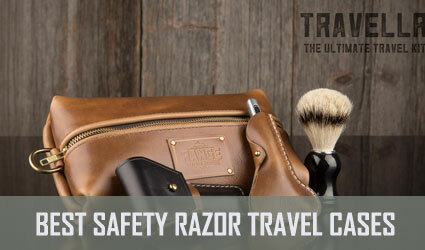 This isn’t a deal breaker for most people, but it greatly limits the razor’s functionality to a good backup for travelers. Lack of replacement blades. Remington blades are a bit on the expensive side. If replacement blades were available, they would probably cost more than a new machine. Unfortunately, when you purchase this razor, you are basically only buying, perhaps, two or three years of use. Not waterproof. Although it’s not common in this price range, it would be nice if the machine could be used for wet shaving. This also makes cleaning the razor a bit more time-consuming. Tricky cleaning process. The cleaning process, although simple, could turn into a chore for users who are not used to cleaning rotary razors. It surely involves removing the head and removing all of the blades and cleaning them with a brush and then reassemble them. This is a very basic razor, so you won’t find a lot in the box other than the unit itself. You get a plastic cap, charging cord, and cleaning brush. A travel case would have made the Remington R95 a more attractive buy, especially considering it is a travel razor. User reviews on Amazon are extremely positive for the most part. 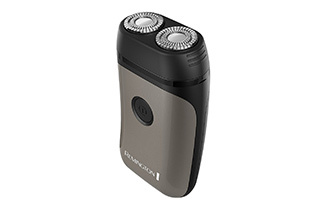 Most users praise the Remington R95 Rotary travel shaver. The usual caveat is that it might not work that well on coarse beards. Many users liked the design and grip, although a few users felt that it was difficult to get a firm hold on such a small machine. A few people also said that it’s not the best razor for users with very sensitive skin. Negative reviews were not as common, but a few shavers complained about product defects, the most common being a faulty on/off switch and being too aggressive on sensitive skin. 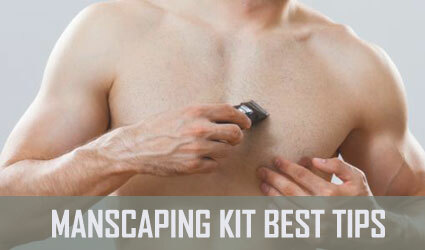 Note: This product is featured on our list of the best travel shavers in 2018; if it isn’t exactly what you were looking for, check it out! 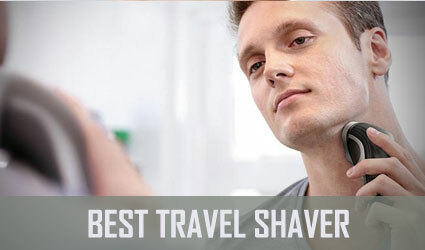 The Remington R95 Rotary travel shaver is a strong entry in the inexpensive travel razor category. Choose this machine if you are looking for a travel razor with lithium battery charging and corded use, not a trimmer. Those who would prefer an AA-battery powered shaver or need a beard trimmer have other options.